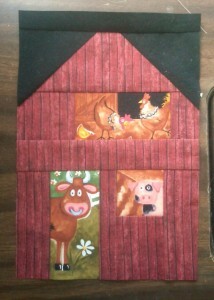 I hope there is room in the neighborhood for a barn, because I could not resist. I took time out from a project to get at least one done this month before sneak peek time. I have a couple of other fabrics laid out to make more if I get time. Loving everybody’s posts this month.